Oh wow, oh gee, good golly gosh. Kate of Fabrickated nominated me for a Very Inspiring Blogger Award. “I’d just like to thank the academy…” oops, wrong speech! Kate, I thank you so very much, I’ve never had any award before, much less for my blog. I’m glad you find it entertaining. I really enjoy your scrutiny of politician’s wardrobes and boy, can you sew! The guidelines to pass on this award appear at the bottom of this post. Its hoped those nominated will share the love by passing on the award. 1.I leave my shoes under the dining table all the time. Sitting at the table I just have to take my shoes off. Hubby doesn’t get it, son does it too! 2.I know a lot about lasers. various wavelengths, uses, misuses, hazards, benefits and more. 4.I hate to put my shoes & clothes straight into the cupboard after wearing them, I like them to air first. 5.I have a distinctive freckle above my bellybutton. 6.When I’m distracted or excited I don’t eat. 7.When I’m procrastinating I procrasta-eat a lot! Now I am to pass on the award by nominating 10 blogs for the award. Not such an easy task actually. A lot of the blogs I follow are kind of proprietary, I’m feeling incredibly time poor recently and admit that one of the first things to go is stocking up on fabulous blogs. Not sure if the blogs I nominate have to be the kind that would pass it on. Some are just more information driven than conversational, like… The Cutting Class and Blue Bergitt. This has been a difficult post for 2 reasons. I’m rushed off my feet at the moment, and having scrutinised my blog roll on Feedly I noticed that a large proportion of the blogs I follow haven’t posted for over a year!! Wow, I need to stock up on new blogs folks! The Craft Sessions Felicia is the opposite kind of sewer to me. I like to sew quite tailored clothes, she sews Nani Iro cotton in floaty creations. Felicia prefers to sew tops, I prefer bottoms. She writes thought provoking posts,that have me pondering long after the lid on my Mac is closed. Did you make that? Who couldn’t fail to be inspired, beautiful clothes, cute dog and an extremely well written format. Heaps of thanks for the posts on blog writing too. That actually changed the way I think about writing posts. Mainely Dad Ok, so this is possibly not the brightest thing I’ve ever done. Mainly Dad has stopped blogging while he fixes his house. But I wish he’d come back. The guy is just so inspirational. His blog is the story of how a non sewer set himself the task of making excellent men’s clothing, it was initially called the Japanese Pattern Challenge. Check out his older posts, he has taught himself very high end techniques and while not every make is a win, they’re all worth a look. And, he is building a timber boat – nawww! Made by Hand – The Great Sartorial Debate Geoffrey Diduch’s blog is one of those inspirational men’s tailoring possies on the inter webs, fascinating discussions around the subject of men’s tailoring and recently he unpicked an italian suit from a celebrated neopolitan tailor. Handmade by Carolyn Carolyn is a gal from Perth and well if you look at a map of Australia thats almost a continent away. Perth is a 4/5 hour plane trip from Sydney, it always seems like a frontier to me. Anyway Carolyn is a fantastic sewist, she has great taste and her dog is a thing to behold. I love her photos taken on the beach, she is quite an inspiration. Closet Case Files Yes, this is one of the biggies. I love Heather Lou’s style, she is of course the designer behind her own pattern line too. I especially like her What’s Doing posts every Sunday. They’re a round up of whats happening in the sewing/fashion world and I almost always find something to click through to. Sewing Cake is the domain of StephC. Steph has a pattern line named after historically famous Aussie things and people. I love the sailor pants she designed (Endeavour) and I love that she is an Australian pattern designer. It looks to me like Steph is trying some mass customisation options in her line by having you draft parts of the pattern yourself according to your measurements – a fascinating idea, this could catch on. While she Naps This is not really a sewing blog so much as a business blog that happens to be about craft. I like Abby’s everyone welcome kind of approachability. I have found lots of interesting things I would never have known about because Abby blogged about them. She has a podcast too – someone to keep me company in the sewing dungeon! Well-suited is Anita of Studio Faro’s blog. Anita posts mind boogling pattern puzzles of Mensa proportions. They are beyond the capabilities of my brain of straw, but I do love to marvel at the answer while turning my Mac upside down and twisting it just so while strategically placing my tongue out the corner of my mouth like a Q. A Challenging Sew Leisa has to be the most dedicated sewer ever. She set herself the task of learning couture and her creations are wow! If toile #5 of the self drafted jacket doesn’t start to come together soon, I may just have to try Marfy 3635, Leisa’s is stunning. 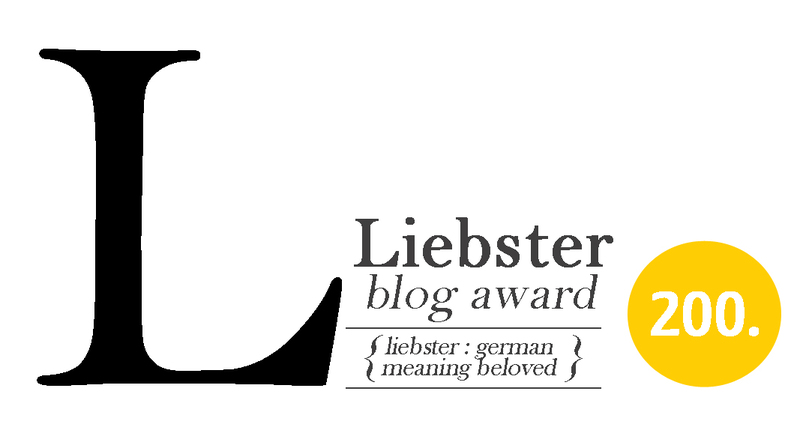 Display the award logo in a blog entry. List the award guidelines so your nominees will know what to do. State 7 hidden facts about yourself OR 3 things that inspire you. 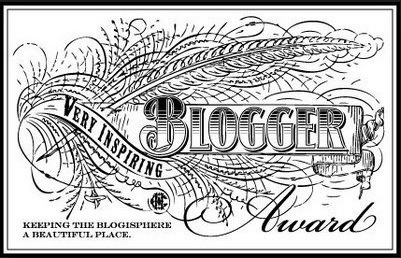 Nominate 10 other blogger friends for the award. Culottes – actual garment photos incl. Too bad about Mainely Dad’s haitus! Many of the blogs that I have most enjoyed are no longer active, either, but then but I tend to read blogs that meander, straddle craft and other pursuits or that don’t refer to craft much at all, so it would be difficult for me to list ten that I follow regularly these days. PS I also kick off my shoes when sitting at a table or on a sofa. Who knows why! Bare feet are the ultimate symbol of relaxation/hedonism perhaps? Hey maybe we should start a blog roll thingy S, so people can find new blogs to eat up all their free time?! I don’t think it matters that its not directly related to sewing. I find myself straying from posts that are exclusively sewing related as my skills improve I think. But I do love a fly on the wall view of tailoring! Love the Mainely Dad blog, by the way – especially the way he sort of picked up from nothing and has continued to push the envelope. Quirky and stylish at the same time, in his own way. I also loved the sort of snarky one about Italian tailoring. I spent several hours reading through their respective posts and it made me really really want to improve my thinking and writing about sewing and other things. Thank you very much. I will probably write a list of inspiring blogs after I`ve given it some additional thought. I need to stock up a bit on new blogs at the moment anyhow (as well as clean up my own thinking). Isn’t he clever?! Thought you’d like the tailoring one, I love blogs by experts, they’re so into their thing. But its also nice to connect across the world with like minded folk and feel like you’re getting to know them. Bare feet are great, but in winter Ugg boots are the thing for us – but we never wear them outisde – we have standards! I think the clean toilet advice is some of the best I have ever heard. Thank you for that. And being witty, wise and very talented. You also gave me some Ugg boot advice – I do have a pair which I wear when it snows. Also I have some nice slippers lined with sheepskin, made from Harris Tweed. When it is really cold I go to bed in them. Thanks for the nomination Kate, it was very thoughtful and kind. Harris tweed would make quite dapper slippers!